Here are the best fun things to do in St. Vincent and the Grenadines for you and your family when you arrive on one these stunning islands. You have plenty of activities to select from such as snorkeling in the Tobago Cay Marine Park or around Bequia Island and the scuba diving is spectacular. 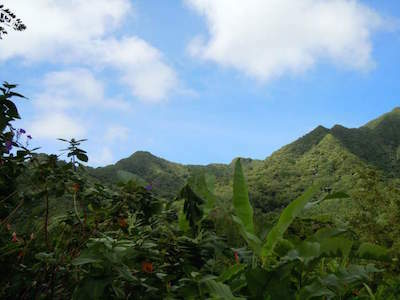 You can go hiking to the top of La Soufriere volcano and the Vermont Nature Trail is ideal for learning about the eco-system of the area. Other options include going to Dark View Falls or visit the movie set of the original Pirates of the Caribbean at Wallilabou Anchorage. You will be thrilled with the serenity of St. Vincent Botanical Gardens in Kingstown and Port Elizabeth overlooks Admiralty Bay where you can soak up the sun at Princess Margaret Beach Lower Bay Beach. The perfect adventure awaits you to help make your memories last forever. When you want a fun and informational thing to do in St. Vincent and the Grenadines, then you should try a cultural and theme tour. Cultural excursions are filled with interesting facts about the culture, history and environment of the area you are visiting. Each tour includes complimentary hotel or port pick-up and drop-off service. Places you will see include the incredible scenery of Wallilabou Anchorage where you will walk through the former filming set of the original Pirates of the Caribbean as well as get a chance to enjoy the calm waters of this spectacular area. 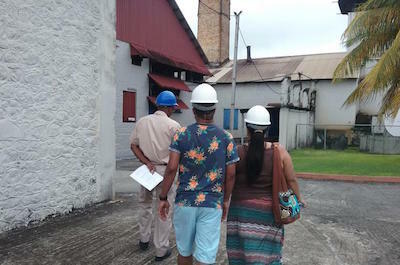 Other excursions include trips to St. Vincent Distillery where you will learn about making rum as well as sample the best rum in the world. Cultural excursions are a great way for families and friends to spend the day learning about this incredible Caribbean island. If you like the outdoors and want to stretch your legs then the best thing to do in St. Vincent and the Grenadines is to take a hiking tour. Hiking tours are great way for families to spend the day while absorbing the beautiful scenery that surrounds you. You can hike to the top of La Soufriere volcano and take in the massive views of the tropical landscape as well as surrounding islands. Other spectacular hikes include the Vermont Nature Trail and climbing to the top of Fort Duvernette. More options include a serene day of snorkeling along with hiking in the Owia Salt Pond and the tropical scenery at Dark View Falls is incredible. 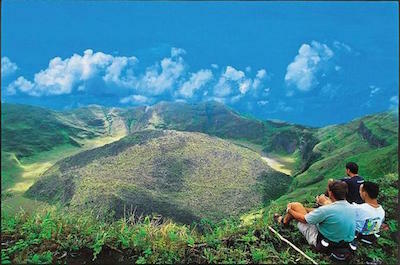 Each hiking excursion is ideal for people of all skill levels as well as packed with information about the eco-system and history of the islands. When you want to get out in nature and mingle with locals, then the best thing to do in St. Vincent and the Grenadines is to go on an authentic river fishing tour. While you are on your fishing excursion you will learn about the various fishing methods used by the people of island for centuries. When you are fishing you will also learn about the eco-system as well as about the variety of fish you will catch in the rivers on the St. Vincent and the Grenadines. Fishing tours allow you to mingle with the locals while enjoying a cold beverage and lunch consists of preparing your catch of the day island style. Most fishing tours include complimentary hotel/port pick-up and drop-off service. Enjoy the day in natures playground and go fishing. Walking tours are one of the more interesting things to do in St. Vincent and the Grenadines for families and travelers who are fascinated with learning about new places. Walking excursions are an ideal way for families to bond as they ponder the natural and built environment together. Walking tours include a trip the Owia Salt Ponds where you will visit with the indigenous Black Caribs as well as snorkel in the serene salt waters. Other options will have you viewing the incredible natural scenery along the 2-mile Vermont Nature Trail and the tropical landscape is spectacular as you watch the water cascading down at Dark View Falls. The panoramic views from atop Fort Duvernette are an once-in-a-lifetime photograph opportunity. No matter which walking tour you choose you will sure to be please with these cool thing to do in St. Vincent and The Grenadines. One of the more popular things to do in St. Vincent and the Grenadines for families and visitors is to take a trip to Dark View Falls. Located in the northwest portion of St. Vincent at the southern end of the La Soufriere volcano the Dark View Falls are part of a tributary of the Richmond River. The Dark View Falls are composed of two intense waterfalls that tumble down a sheer rock cliff into calm natural pools. Once you are at the main center of Dark View Falls you will take a 15-minute walk that is superb for ages and skill levels. You should take some swimwear because the calm natural pools are perfect for a quick dip or swim in the cool water. The Dark View Falls are ideal for all travelers with complimentary hotel and port pickup as well as drop-off service included in your excursion. When you are searching for a relaxing thing to do in St. Vincent and the Grenadines that involves lounging on spectacular sand, then you need to visit Princess Margaret Beach. Located just south of Port Elizabeth overlooking Admiralty Bay, this iconic stretch of sand is famous for Princess Margaret swimming in the calm waters. The sand is perfect for lounging with plenty of coconut and palm trees for shade. There are plenty of watersport activities to found here from swimming to snorkeling to standup paddleboarding. Princess Margaret Beach can be reached by walking along the Belmont Beltway which also has several nice restaurants like Mac’s Pizzeria or Jack’s Bar. Incorporating a trip to Port Elizabeth makes for a superb day of culture and sand while you enjoy your time on Bequia. 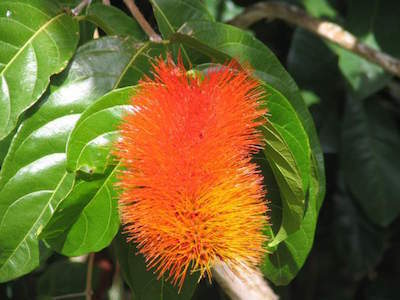 The St. Vincent Botanical Gardens is one of the most interesting things to do in St. Vincent and the Grenadines for families and travelers who like to view as well as learn about the important plants from around the world. Located just minutes north of Kingstown on the western shoreline of St. Vincent, The Botanical Gardens are situated within 20-acres of spectacular lush landscape. The St. Vincent Botanical Gardens were first created in 1765 and many of the plants within the garden were instrumental in providing food as well as plants like cotton, arrowroot and cacao to help grow a thriving economy within the surrounding islands. 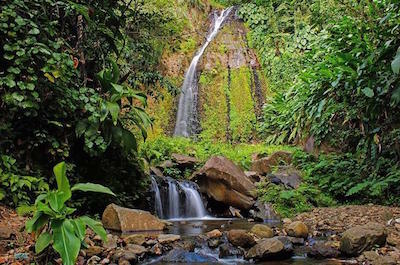 The St. Vincent Botanical Gardens have excellent walking trails that are supported by numerous exhibits that inform you of the various plants and animals you are viewing in this spectacular landscape. Another added bonus you will see at the St. Vincent Botanical Gardens is the St. Vincent Parrot which you can view in the wild as well as in the aviary area. If you are searching for a wild experience for your family, then on of the best things to in St. Vincent and the Grenadines is to visit the lush tropical landscape at the Montreal Gardens. Located at the mouth of the Mesopotamia Valley within central St. Vincent, the Montreal Gardens were created by Tim Vaughn and reside within 7-acres of tropical forest. The Montreal Gardens are not like a usual garden which might boast a manicured landscape. Instead the owner has decided to keep nature in charge and what you will see is chaotic nature at its best. Yes, there are some areas within Montreal Gardens that are manicured but the emphasis is on the mixture of plant colors that blend beautifully with each other. Montreal Gardens has walking paths, a tunnel, steps and bridges as well as river for you to enjoy while you stroll through the magical tropical landscape. 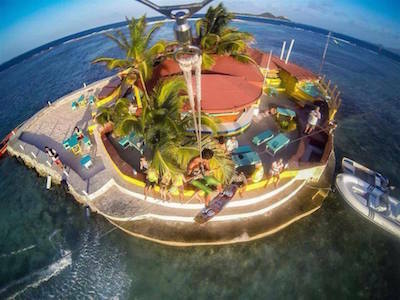 If you are looking for a truly unique restaurant and bar experience, then the ideal thing to do in St. Vincent and the Grenadines is to visit Happy Island. Located off the coastline of Union Island, Happy Island was constructed by Janti who built the island from the existing remnants of conch shells found around Clifton Harbor. Happy Island offers people traveling by a boat a nice place to stop and have a drink while viewing the sunset. Happy Island can be accessed by a shallow-bottom boat because of the surrounding shallow reef. Happy Island serves up fantastic drinks and if you are lucky you can indulge in some fresh grilled lobster. The scenery of nearby Union Island is stunning from the deck of Happy Island and the kite surfers are truly worth watching while sipping some rum punch. Visiting Port Elizabeth is a fun thing to do in St. Vincent and the Grenadines when you are looking for a quaint island capital city with lots of attractions, Located overlooking Admiralty Bay on the western coastline of Bequia, Port Elizabeth is an ideal place to mingle with the locals and the numerous yacht owners who are moored in the bay. Port Elizabeth is composed primarily of Front Street where you will find a variety of brightly painted wooden buildings with souvenir shops, a grocery store, Customs and Immigration office, boating and fishing supplies as well as dining options like Mac’s Pizzeria, the Chameleon Cafe and Tommy Cantina. The Belmont Walkway allows you to walk along Admiralty Bay, which is usually filled will over a hundred yachts. You can visit the Bequia Maritime Museum, St. Mary’s Anglican Church and the Oasis Art Gallery and Gift Shop. If you want old fashion Caribbean charm then a stop at Port Elizabeth is a must do. If you are looking for a nice swimming area then try Princess Margaret Beach. 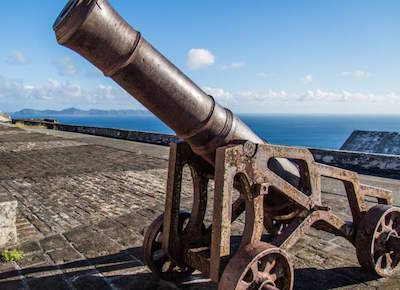 Fort Charlotte is an interesting thing to do in St. Vincent and the Grenadines for travelers that want panoramic views of the surrounding area as well as a short history lesson the area. Located 660-feet atop Edinboro Road on Berkshire Hill, Fort Charlotte is a healthy 40-minute walk from the center of Kingston or a short 10-minute walk if you take a bus up Edinboro Road. Construction on Fort Charlotte was finished in 1806 and features many buildings that were in use as recently as 2015 as a prison for women. Views from Fort Charlotte include the Caribbean Sea, Bequia, the Grenadines, Young Island and Kingstown. Take your binoculars for a quick glimpse of Grenada which is 90-miles south. Fort Charlotte has a few cannons onsite that date back to 1811 and the museum has several interactive exhibits. There are guides onsite that can take you through the fort while providing interesting commentary on the history of St. Vincent and the Grenadines. When you want to view actual conservation methods in action and take a true family oriented trip, then the best thing to do in St. Vincent and the Grenadines is to visit the Old Hegg Turtle Sanctuary. 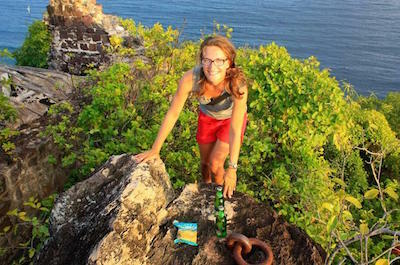 Located on Park Beach on the northeastern shoreline of Bequia, the Old Hegg Turtle Sanctuary is the idea of Orton Brother King who has been trying to save the Hawksbill turtle from extinction. The Old Hegg Turtle Sanctuary focuses their effort on monitoring baby Hawksbill turtles from hatch to 18-months old before releasing these magnificent animals back into the Caribbean Sea. You can view the holding pens, feed the turtles and learn why the Hawksbill turtle is important for the marine eco-system of the Caribbean Sea. The Old Hegg Turtle Sanctuary has released some 2,000 turtles back into the Caribbean Sea with its trademark drill hole through the shell since it opened in 1995. If you like pirates and remember the original Pirates of the Caribbean movie, then a great thing to do in St. Vincent and the Grenadines is to take a trip to Wallilabou Anchorage. 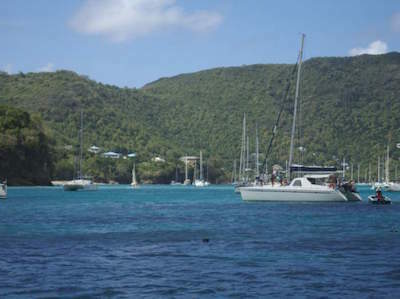 Located on the west-central coastline of St. Vincent, Wallilabou Anchorage is located in Wallilabou Bay and features many of the original filming set pieces of the movie. You can walk the buildings getting your pirate on and take as many photographs as you wish. There are boating facilities available at Wallilabou Anchorage which includes mooring, refueling, water and garbage removal as well as a small hotel with 12 rooms. When you get hungry the restaurant is open for all three meals and serves fresh Caribbean dishes. 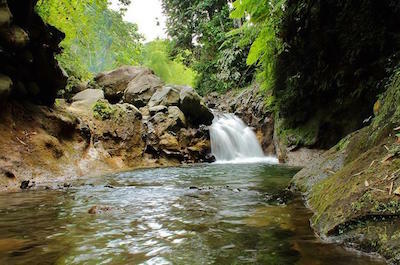 A stop at Wallilabou Anchorage is ideal if you are traveling by land to view the Dark View Falls or the Richmond Vale Hiking Center and by boat if you are on your way to see the Falls of Balleine. When you want to go scuba diving when you are on the island of Bequia, then the best thing to do in St. Vincent and the Grenadines is to visit Dive Bequia. Located in Admiralty Bay near Port Elizabeth, Dive Bequia is a premier scuba diving operation that can cater to scuba divers on land or that are sailing on their yacht. Dive Bequia is a fully certified PADI instructor that can help novices fulfill their dreams of being a dive master as well as the dreams of expert scuba divers that are ready to explore the incredible marine life that resides in St. Vincent and the Grenadines. With over 24 diving sites that include four shipwrecks, an ATM and a fringed coral reef that surrounds the island of Bequia, scuba divers will be able to accomplish many different types of dives in a diverse underwater world that is loaded with thousands of colorful tropical fish and interesting coral reefs. With two 30-feet custom-built boats you will be pleased when you choose the incredible service that is provided by Dive Bequia. Scuba diving is one of the more popular things to do in St. Vincent and the Grenadines and Serenity Dive is one of the best scuba diving operators in St. Vincent. Serenity Dive offers everything from snorkeling to PADI certification to multi-tank dives. You will be pleased with the personalized service you receive from the moment you decide to use Serenity Dive as your scuba diving operator. There are several exciting sites for scuba divers within a 20-minute boat ride off the coast of St. Vincent which include spots like Petite Byahaut for novices and a 120-feet dive at Orca Point for more advanced scuba divers. You will enjoy the underwater world of the Caribbean Sea which is home to numerous species of seahorse, electric rays and frogfish as well as hundreds of formations of colorful coral reefs. So whether you are looking for an introductory course or you want to go scuba diving within the Kingstown Shipwrecks, Serenity Dive offers the perfect things to do in St. Vincent for divers. When you are looking for a fun thing to do in St. Vincent and the Grenadines that involves a beautiful beach with great water, then you need to visit Lower Bay Beach. 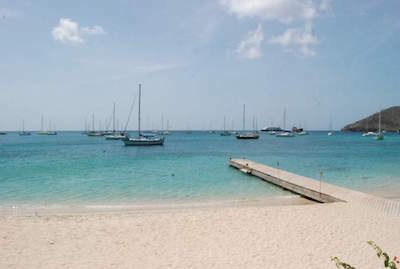 Located at the southern edge of Admiralty Bay south of Port Elizabeth in Bequia, Lower Bay Beach has a great atmosphere for relaxing and watersport fun. While at Lower Bay Beach you can go swimming or snorkeling and there are vendors offering other watersport activities like parasailing and kite surfing. The beach area is soft golden sand with plenty of palm as well as coconut trees for shade. There are a few hotels like the Bequia Beach Hotel nearby as well as restaurants like the Beach Cafe and Bagatelle Restaurant if you get hungry or want a refreshing beverage. Lower Bay Beach is a great thing to do in St. Vincent to spend a quiet day and you can include a side trip to Port Elizabeth for a complete day of fun. Hiking the Vermont Nature Trail is a great thing to do in St. Vincent and the Grenadines for you and your family. Located within the southern interior of St. Vincent only 9-miles from Kingstown, the Vermont Nature Trail is situated on 10,870-acres Buccament Valley within the St. Vincent Parrot Reserve. The trail is approximately 2-miles in length and winds through a lush tropical forest that contains hundreds of plants such as Santinay, Pigeon Berry and several species of Gri-gri Palms. You will watch beautiful birds such as St. Vincent Parrot, Whistling Warbler and House Wren in its natural habitat. As you proceed on your 2-hour hike you will view stunning cliffs and big views of the valley until you reach an incredible lookout point. The hiking is perfect for all skill levels and there are plenty of rest benches along the trail. When you are seeking things to do in St. Vincent for you and your family that includes exploring underwater as well as on land, then the Tobago Cays Marine Park is the perfect place. Located near Union Island, the Tobago Cays Marine Park consists of five uninhabited cays, three islets and water surrounding the populated island of Mayreau. Tobago Cays Marine Park is considered to be known as the “Jewel in the Crown” of the southern Grenadines and has several unique features for you to experience from hiking through the tropical flora and fauna near Petit Bateau as well as James Bay to snorkeling with turtles at the Baradal Turtle Sanctuary and the Horse Shoe Reef to scuba diving the Purunia Shipwreck and the Mayreau Gardens. The marine life in this area is fabulous and full of color with thousands of species swimming around the warm waters. You can also enjoy watching sea birds nest within the Catholic Rock Bird Sanctuary - a perfect thing to do in St. Vincent and the Grenadines for birdwatchers- and you can indulge in a picnic lunch on Petit Tabac which is a perfect white sand beach where Pirates of the Caribbean: Curse of the Black Pearl was filmed.